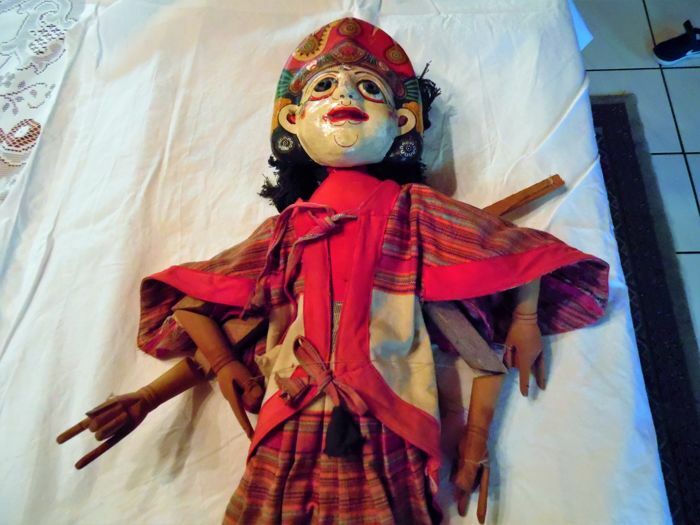 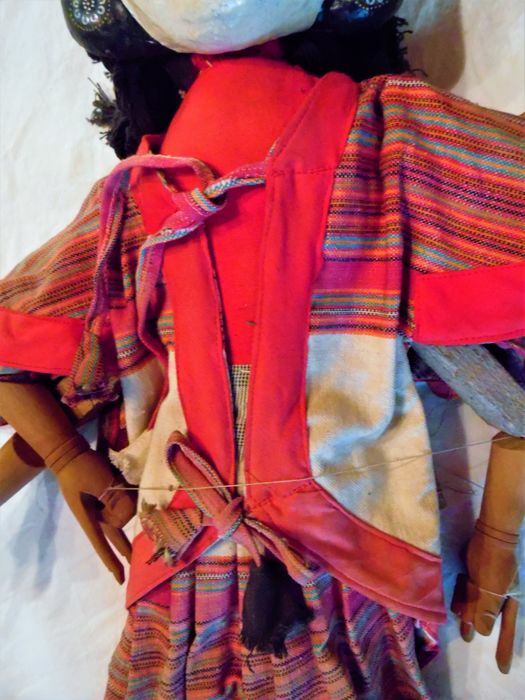 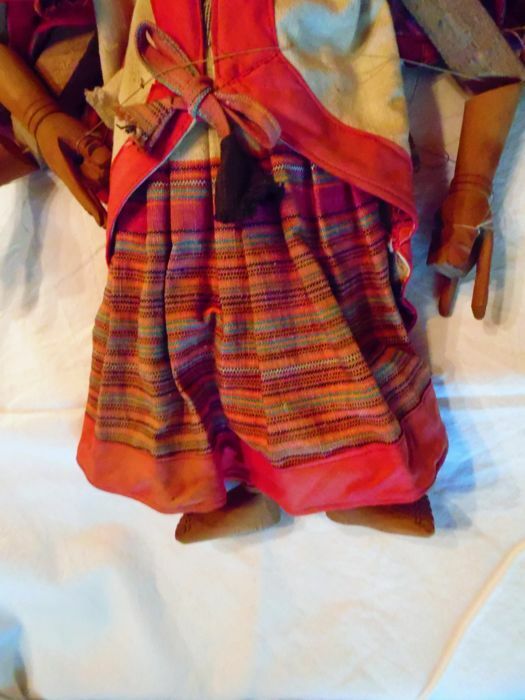 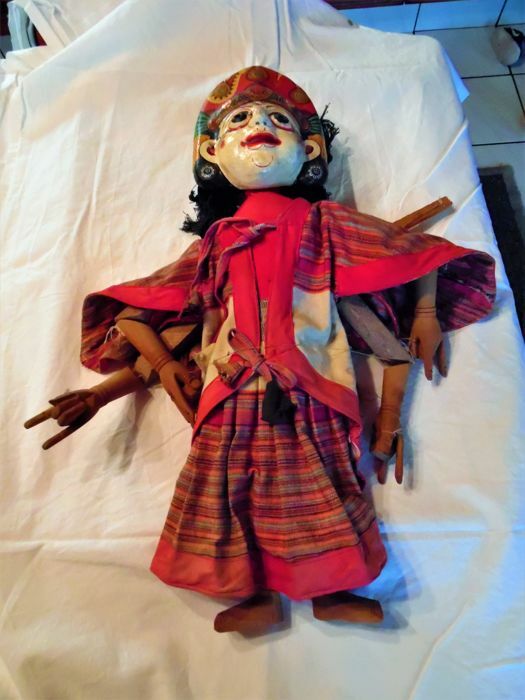 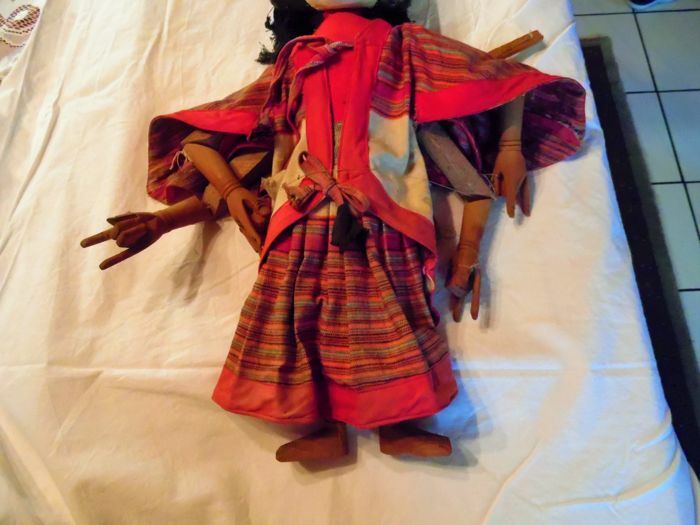 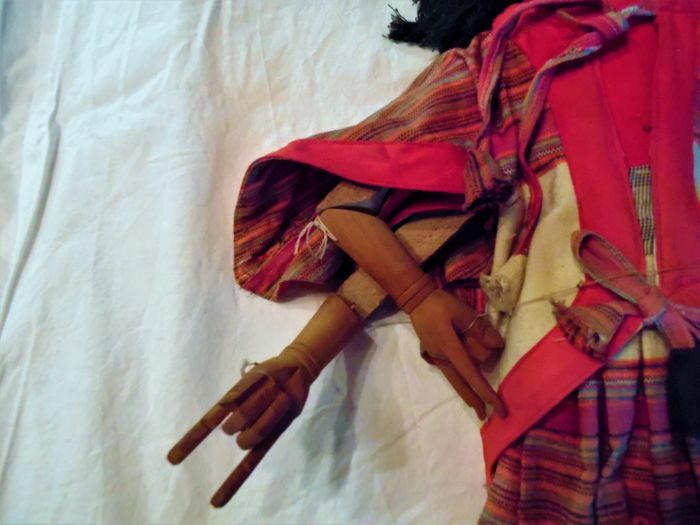 A four-armed theater doll representing a Hindu god from India (probably a Sakhi kandhei doll from Odisha), with which the stories from Ramayana and Mahabharata were told. 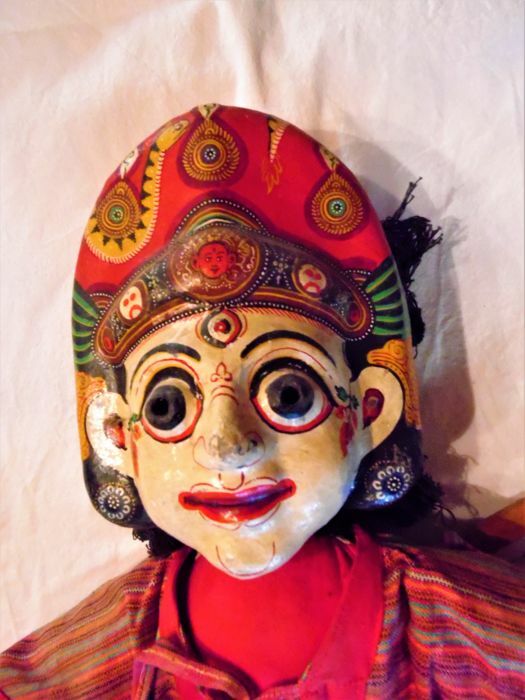 The third eye on his forehead suggests Shiva, but the peacock feathers on the head are rather typical Vishnavian features. 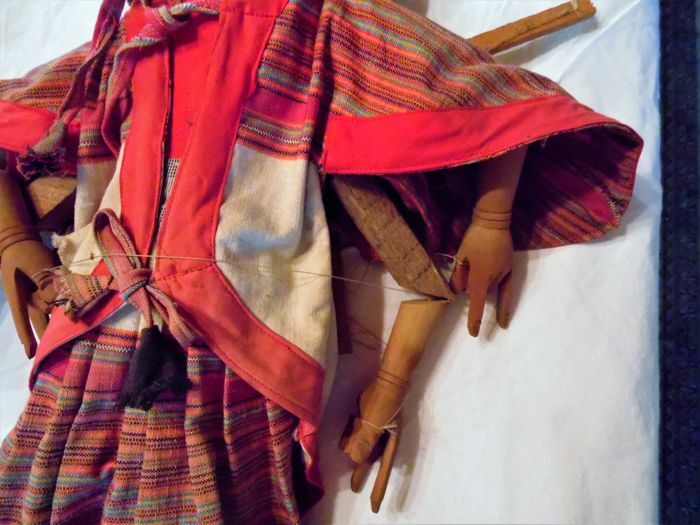 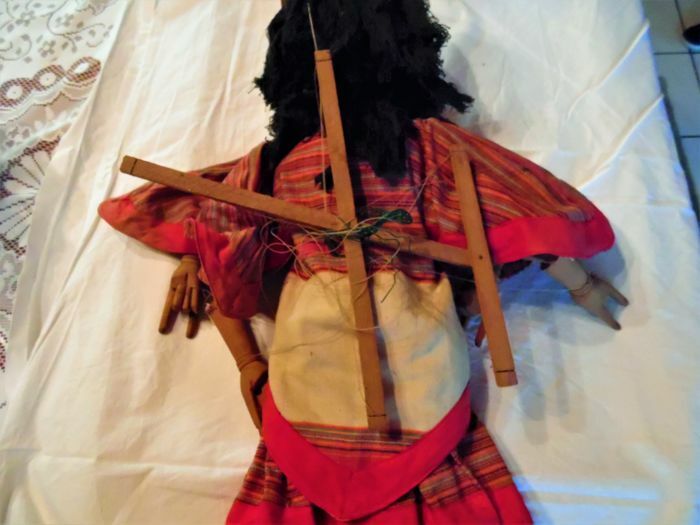 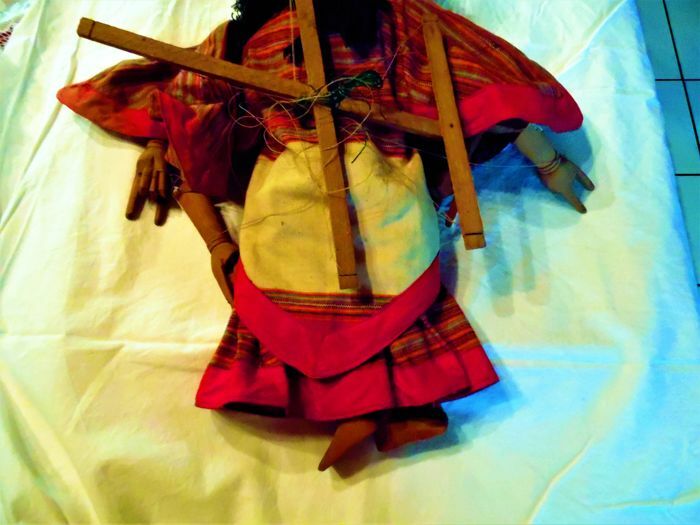 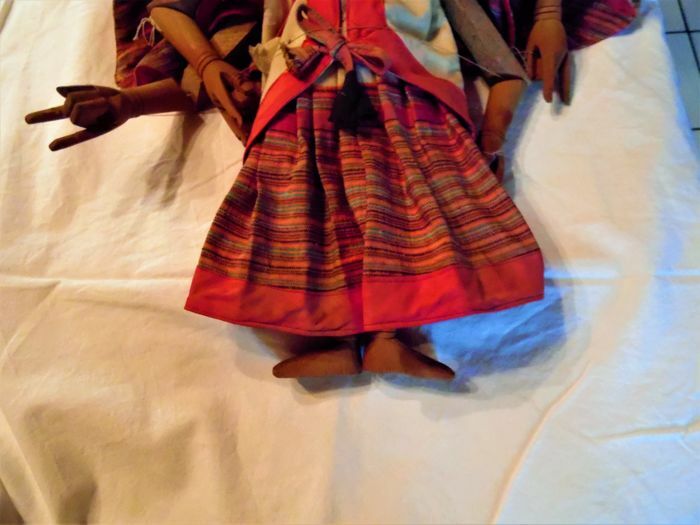 The clothing of this authentic doll has been slightly worn off over the years. 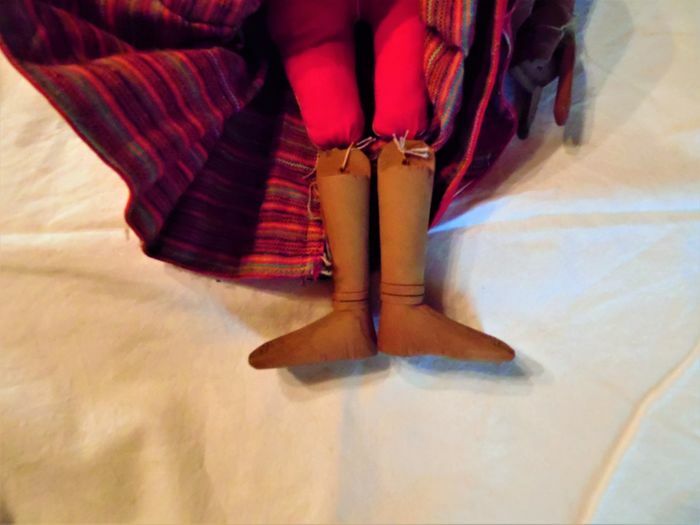 Will be packaged with care and shipped with a track & trace code. 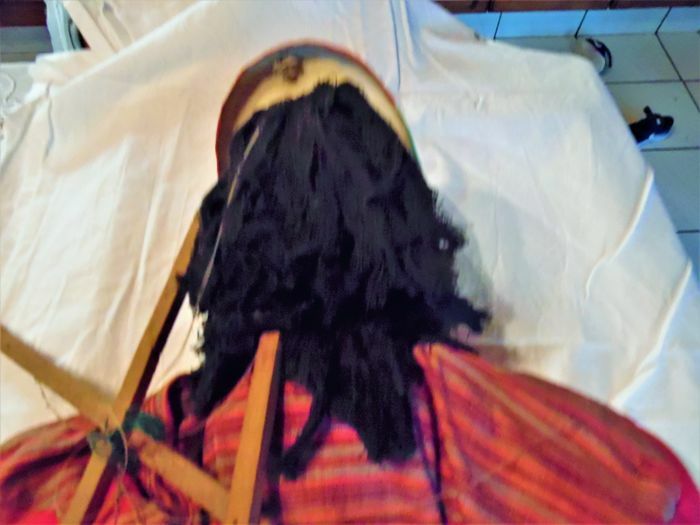 Sie können diesen Artikel auch beim Verkäufer abholen: Oostmalle (antwerpen), Belgien.